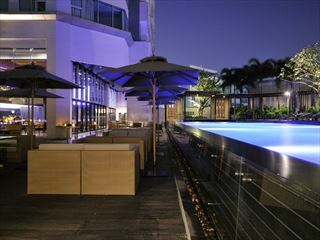 The Metropolitan Bangkok is the Thai capital’s freshest city-centre hotel offering style, energy and exceptional service. The hotel’s verve is balanced by calming rooms away from the urban hubbub, and careful attention to nurturing detail. The hotel combines urban edge with Asian flair, an approach reflected in the award winning cuisine, spa and Bangkok’s chicest lounge-bar. 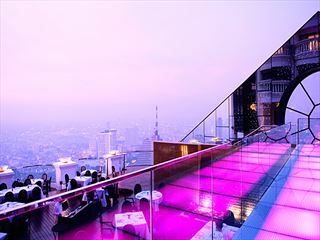 At the Metropolitan Bangkok, you’ll experience the city’s spirit, feeling this is a place where you belong. Each room look is fresh, with an emphasis on liveability and comfort, acknowledging influences from both east and west with high-tech detailing. These are among the largest deluxe king or twin-bedded rooms in Bangkok. Furnishings include a Ming-style teak chair. Limestone and large bathrooms have separate showers and bathtubs. These ample rooms include a large private patio with clean-lined landscaping, a relaxing sitting area and refreshing outdoor shower. Inside find a king-sized bed, an L-shaped teak bench and work desk. With a connecting living room and bedroom, ensuite bathroom and separate guest WC, these suites are among our bestsellers. You have a choice of a continue living area or a well laid out space for meetings. 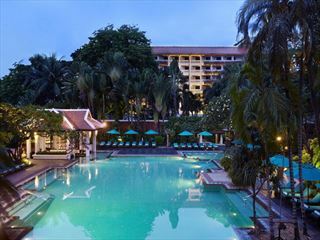 The Metropolitan Bangkok understands its guests are on high-octane schedules. COMO Shambhala Urban Escape – our largest city retreat yet – is dedicated to your complete wellbeing. In addition to a gym (open 6am to 10pm), the resort has separate male and female steam rooms, a hydro pool, 20m outdoor lap pool (6am to 8pm) and Yoga studio (offering complimentary daily classes) and 10 treatment areas for holistic therapies. A great hotel for children, with a cool pool and big bedrooms. Award winning Australian chef David Thompson focuses on fresh, healthful, local ingredients. David first set up The Nahm in The Halkin Hotel in London as is now in bangkok itself. The cuisine will be like the food eaten at home, relaxed, generous and authentic. This comfortable approach will be reflected in the style of service, beginning with several different canapés served at each meal. Guided by highly informative Thai waiters, diners will then be able to explore the full gamut of Thompson’s repertoire. This will be a very popular restaurant and worth trying at least once whilst you are there.